The floodgates are open for public feedback on California’s plans for the Sacramento-San Joaquin Delta. Starting Friday, the Brown administration is accepting comments on the Bay Delta Conservation Plan – its effort to stem the decades-long battle over the hub of the state’s water supply. State officials say the water supply for 25 million Californians from the Bay Area to San Diego is at stake, as is the health of the largest estuary on the West Coast. 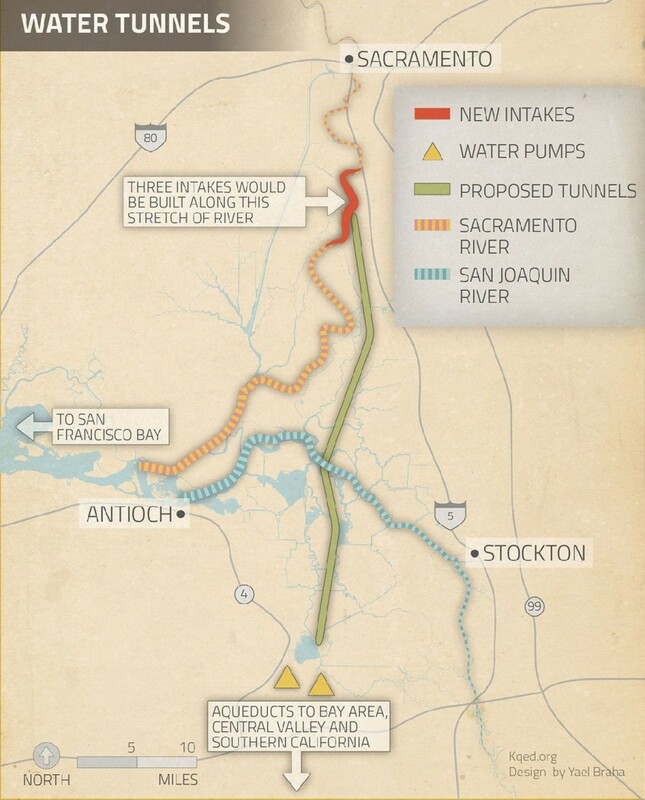 The $25 billion plan calls for constructing two water tunnels, 35 miles each, that would run underneath the Delta. 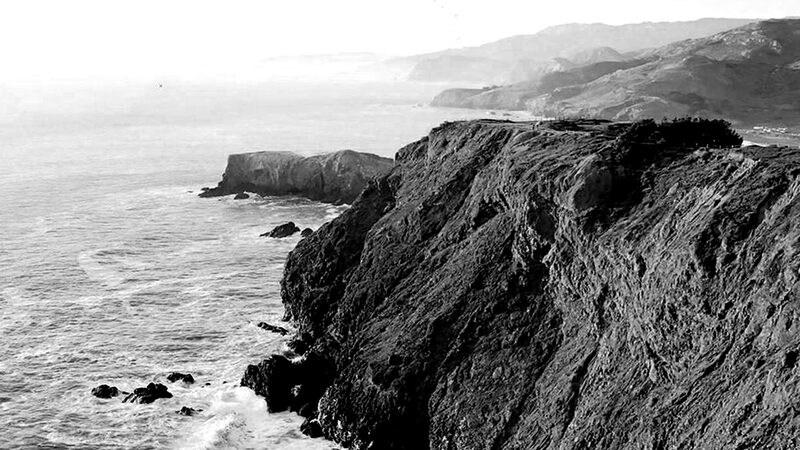 The tunnels would send water to the existing infrastructure that runs to the Bay Area, Central Valley and Southern California. Today, outdated pumping plants move water out of the Delta, which scientists say harm endangered fish species. The plan also includes more than 100,000 acres of habitat restoration. The state is sure to get an earful from the public over the next four months. 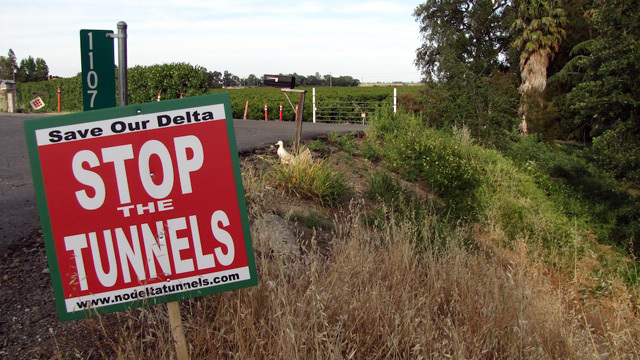 Objections have already been raised by Delta residents concerned over the impact of the construction project. Environmental groups say the plan may not do enough for threatened fish species. 1. Does the plan do enough to help endangered fish? Huge water pumping plants harm fish populations by pulling masses of fish toward the pumps, attracting predators and changing the natural flow of the San Joaquin River. More than 95 percent of the Delta’s historic wetland habitat has been lost. In some years, more than half of the Delta’s freshwater is pumped out, harming species like Delta smelt and longfin smelt. The state’s proposed plan would address the first two problems, at least in some form. The existing pumping plants would still be used about half the time, even with the tunnels in place. Habitat restoration, including 65,000 acres of tidal wetlands, could aid juvenile salmon migrating out of the Delta, though the benefits are less clear for other species like Delta smelt and longfin smelt. But major questions remain on freshwater flows. The state is considering two scenarios for how much water the new project would deliver to water districts – one providing about 10 percent more than is currently pumped and one providing about 10 percent less. The project will need a permit from federal wildlife agencies (like the Fish and Wildlife Service and National Marine Fisheries Service) that will review the impact of scenarios on Delta smelt and Chinook salmon. The agencies have indicated that more freshwater flows are needed for fish, especially in the spring and fall, and are likely to choose the scenario with lower water exports. 2. If the project delivers less water to water districts, will they still pay for the tunnels? The cost of constructing the tunnels, around $17 billion, would be covered by the water districts that would benefit, including Santa Clara Valley Water District, Westlands Water District and the Metropolitan Water District of Southern California. The cost would then be passed on to their customers through water prices. Several water districts have said it will be challenging to support a project that provides less water than they’re getting today. “If we don’t come out of this planning process with a preferred alternative that provides more water than we’re getting today, I can’t imagine people making decisions to invest,” says Jason Peltier of Westlands Water District. “The people who are being asked to pay for this project are looking at how much water will they get for their money,” says Jim Beck, general manager of Kern County Water Agency. Mark Cowin of the Department of Water Resources says climate change makes a future without the tunnels even more uncertain. Cowin expects the remaining $8 billion for the plan to come from Congress and future state water bonds. That money would restore wetlands and other habitat to help endangered species. “It’s a long term 50-year program so we don’t need all the money in vault right now in order to carry it out, but we do need a commitment from the state of California that this is a worthy investment,” says Cowin. State lawmakers are now writing a water bond for next November’s ballot. The question is whether California voters will see it as priority.